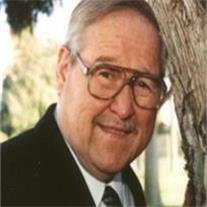 James Lenard Starks, 70, of Mesa, AZ passed away June 13, 2009. Born in Mesa, AZ, he attended Mesa High School and Arizona State University. He worked as a mechanic at Brown & Brown Chevrolet for 38 years. James is preceded in death by his wife Linda Allen Starks and parents Lenard L. and Pauline Starks. He is survived by sons: James A., Lennie, Edward and daughter, Dece; brothers, Dwight and David Starks; 14 grandchildren. Services are Friday, June 19, 2009 with visitation at 9:00 am, funeral at 10:00am at the LDS Evergreen Building, 750 N. Evergreen, Tempe, AZ. Arrangements by Bunker’s Garden Chapel.